“What are your macros?” This is one of my favorite questions to ask and one of the more common ones I get asked. Macros, short for macronutrients (proteins, fats, and carbohydrates), form the basis of Flexible Dieting/counting macros. These macros are the basis of all calories you consume. Before you read this make sure you’ve read the article What is Flexible Dieting? to ensure you understand the philosophy of counting macros. Calculating and adjusting your daily macro goals is both the bread and butter basics and something you never really graduate from as a Flexible Dieter. Starting out on a macros-based diet this seems a lot more complicated than it really is. Your ability to calculate and adjust your macros correctly will largely determine whether or not you reach your physique goals. Everybody is different (yes, you are a unique snowflake…) so calculating your macros is just the beginning. And even the most experienced coaches working with clients may get it wrong to start with. Each person’s metabolism, overall health, and lifestyle all play a vital role in how much energy we actually burn and how much of each macronutrient we should be eating. But starting with some solid guidelines, even if it isn’t quite right, can be a good start on your journey to dominate your goals, and getting the body you want. When getting started with counting macros the most important thing to calculate is your TDEE (Total Daily Energy Expenditure). I’ve written more about that here, but basically, it’s the number of calories you burn in a day. Consistently eat less than this and you lose weight or eat more than this and you gain weight. 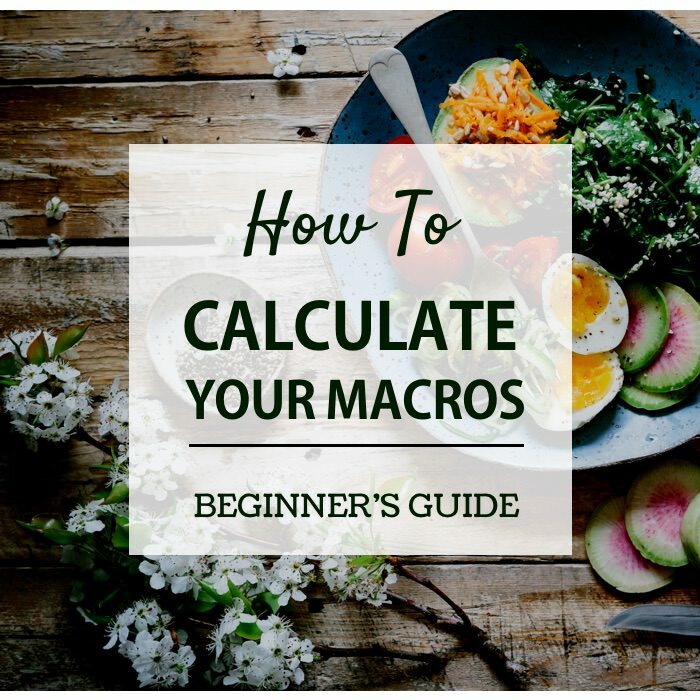 Please try out our Macro calculator here. The Mifflin, M. D., St Jeor formula is one of the most popular and one of the most respected methods used to calculate your TDEE. Here is the formula used to calculate your Resting Energy Expenditure (REE), which is the energy it takes to run your body without any movement. Here’s what the formula looks like. Tip: Remember your high school math lesson about Order of Operations: (PEMDAS from left to right) when solving the equation for yourself. For those with varied exercise, a more fluid approach can be used. You use your sedentary TDEE as a base and then track your exercise allowing your TDEE to be adjusted based on the amount of exercise you do on a given day. However, this does make tracking your macros a little more difficult. Let’s say you’re a 29-year-old, 183 cm, 88 kg, very active male. Your TDEE would be around 3,250 Calories. Eat more than this = weight gain. Eat less than this = weight loss. Eat this amount = weight maintenance. As I mentioned, it’s sometimes not as black and white for all people, but for simplicity’s sake let’s imagine it is. If you want to lose weight I recommend dropping your overall calories by no more than 20% to start with – So in the example, this would take the guys calories from 3,250 to 2,600 for weight loss. If you’re looking to gain weight then add 20% calories to your overall intake. So in the example, this would take the guys calories from 3,250 to 3,900 for weight gain. Hate all the math? We do all of this for you with our Online Macro Calculator. With this knowledge alone you could get started towards your goal. Counting calories can be a very effective way to lose weight (here are some stories of others who’ve done this). I’ve found losing weight and losing fat can be two different things (you can lose muscle too), hence the importance of measuring each macronutrient. For those with very little body fat and a high proportion of lean body mass, the standard IIFYM formula isn’t best. The standard formula factors in an average body fat percentage, so those with below average will have a lower TDEE calculated with the standard formula than would be typical. Muscle tissue burns more calories even at rest, therefore, should be accounted for. When using our macronutrient calculator, simply use the “Lean Mass” setting. This switches to McArdle, Katch Formula which is the most accurate for those with low body fat. Just like the very lean, the very heavy have an above average body fat percentage and this also skews the standard formula’s results. Fat tissue isn’t active tissue and requires very little energy to maintain itself. For obese individuals, total fat weight should be considered in the equation. Here’s a more in-depth article that discusses how counting macros works for obese individuals. So you’ve got your TDEE sorted. Now let’s figure out the macronutrient ratios that will make up your diet. First, let’s start with protein. Protein is essential for the growth of new tissue as well as fixing broken tissue – like what happens when you work out. Protein should be your new best friend if you want to gain or maintain muscle. So if our individual weighs 195lbs (88 kg), and they are doing a moderate weight training program, then their protein intake will be 161 grams. Next, let’s calculate fat. 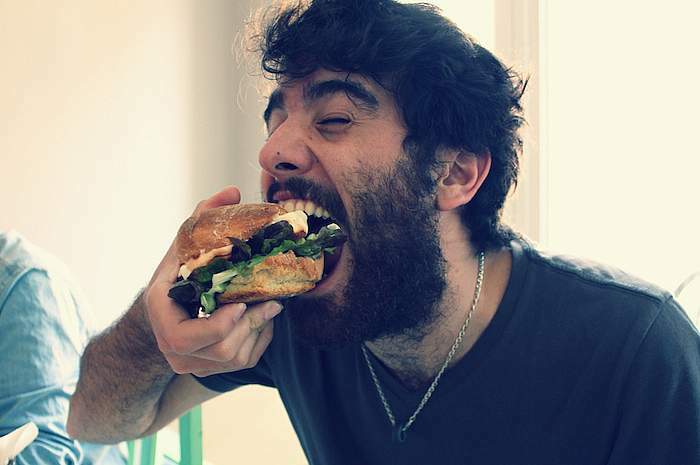 Fat has been demonized as the reason most of us are, well, fat. But that’s simply not true. Fats can be incredibly beneficial for hitting your body composition goals, but they also affect our hormones – too little fat in our diet can be very harmful. After a bit of research (and again, there are a lot of opinions out there) I designate 25% of overall TDEE calories to fat. This may be adjusted, but this is the starting point. Some people can opt for 30% especially if you are coming from a higher fat diet like Paleo or Atkins. 3,250 Calories x 0.25 ( = 812.5 Calories) divided by 9 (9 calories per gram of fat) = 90.27g Fat (which I’d round down to 90 g). If there’s one thing the Macros/Flexible Dieting community of the world agrees on it’s this: We love Carbs! Think of all your favorite foods and chances are they are high in Carbohydrates. Your body uses carbohydrates to make glucose which is the preferred fuel or energy that our bodies run off of. They’re what keeps us going. Fiber, which is important to track if you want to be healthy, is also a carbohydrate but doesn’t deliver calories. We’ve now sorted protein and fats, but how many carbs do we eat? We allocate the rest of our calories (originally calculated from our TDEE) to Carbohydrates. We started with 3,250 Calories. We allocated 644 calories (161 g) to Protein, 813 calories (90 g) to Fat and we now allocate the rest, 1793 calories, to Carbohydrates. Since 1g of Carb equals 4 calories we divide 1793 by 4 and get 448 g Carbohydrates. Final Macros: 161 g Protein, Fat 90 g and 448 g Carbohydrates for this guy to maintain his current weight. Just go and use our TDEE and Macros Tool. The calculator allows these variables to be tweaked. We also offer custom macros and coaching from our certified coach. Your coach will analyize all your satats and lifestyle factors to dial in your macros as accurately as possible. 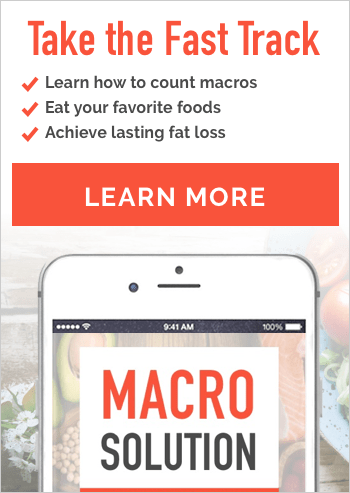 So How Do I Track My Macros? For beginners we recommend My Food Diary – it has one of the clearest and easiest food searches around. Also popular is MyFitnessPal (iOS / Android) – see our tutorial. Another option is MyMacros+ which allows for multiple sets of macros for different activity days. – see our tutorial. Here’s how to weigh and measure your food intake with one. And that’s it. Do the above and you will be well on your way to getting started with Flexible Dieting. As I mentioned the above guidelines aren’t perfect. But it’s a starting place. So get started and adjust as needed! Tipton, K., & Wolfe, R. R. (2001). Exercise, protein metabolism, and muscle growth. Fogelholm, M., Anderssen, S., Gunnarsdottir, I., & Lahti-Koski, M. (2012). Dietary macronutrients and food consumption as determinants of long-term weight change in adult populations: a systematic literature review. Food & nutrition research, 56. Hi…I’m 37, female, 140lbs and 157cms tall, I want to lose around 10-14lbs with my focus on becoming more lean and less fat. I run approx 3 miles 3 times per week and I intend to do 3 HIIT type sessions (but haven’t got into the routine of this yet). Can I just check if my calculations seems right for achieving this…1577 Cals per day…C 180g P 115g F 44g?? Hi Laura, Your macros seem inline with your exercise days but you should also calculate a rest day set of macros since on days you don’t run or do HIIT, your body requires less energy. How would I adjust/redistribute the macros when it comes to carb cycling( High carb days on training days and little to no carbs on rest days) ? Do I just split the added grams from the carbs to protein and fat on low carb days? Based on calculator, I would need 1810 calories per day, 207g of carbs, 132g of protein, and 50g of fat. Do I just make this high carb day? Hi Shanny, You should use two sets of macros since you have two TDEEs. A rest day set and an exercise day set. Use sedentary to calculate for your rest day set. I am a 27 year old female, weighing 133lbs and I’m 157cm tall. I work out 5-6 days a week, including weight training, HIIT and cardio. So I’ve calculated my macros based on 1200 calories per day. It gives me 133g of protein, 122g of carbs and 20g of fat. But when I put my information into your online calculator it gives me completely different measurements. Am I calculating it wrong? Hi Beth, Yes, You should be eating more than 1200 calories in light of the exercise you do. Also, you are eating too little fat with those numbers. Hi. I calculated my Macros to where I would be eating 1200 cals for protein, 675 for fat and 845 for carbs. But this is for maintenance. How would I adjust these for carb cycling for high, low, and normal carb days? I used the calculator to determine my macros and it told me 300g of protein per day which is 1200 calories right? I just feel really lost. I need someone to explain this to me like I’m 3 years old. I understand that I should eat high carbs on the days I workout. But I’m just really confused on how to cycle my macros. Is there a formula to use to help me figure out what each one should be cut to? Will the above listed calculations still work if I am calculating my protein based on my goal weight and not my current weight? Mostly everything I’m reading says that I should calculate my protein requirements based on goal weight and not current weight. My goal is to loose around 35lbs. Hi Melissa, That is technically more accurate because the 1 gram per pound rule is based on lean body mass. However, we have the .825 calculation that would account for this in most cases and probably put you pretty close to your goal weight protein amount. Hi, i had a quick question. I calculated my macros both for the days I work out plus for my two rest days using the light activity and sedentary options. Right now I am trying to lose weight so I added the calorie deficit at 20%, is it better for me to do my protein calculation at .825 or 1? I also put my fats at around 22%. Thank you! Hi Alex, If you’re doing any type of weight training or if you want to help preserve muscle mass than 1 gram per pound is recommended. However, if you have a lot of fat to lose this can skew the calculation. If 50+ pounds of your body weight is fat than 1 gram of protein per pound is too much and .825 is more appropriate. Hi Ted, thanks so much for answering! Currently, those five days I do work out is weight training. For the light activity option, I got 154P/38F/148C with the 1:1 ration for Protein, and 127P/38F/175C with the .825. I was just conflicted in regards to which one would be most beneficial since the spike in difference between carbs and protein seems to be significant. In that case, do the 1:1 ratio so use the first set. Hi wanted to check. What if I’m currently still breastfeeding my child and planning to lose weight at the same time? I’ve checked from another website (specific for nursing mom) that my caloric needs should be around 1863 cal/day. I work out 3x a week as well. How much should i be needing if i want to lose weight but at the same time being able to breastfeed my baby? I tried to calculate the REE formula several times. I keep coming up with a severely low REE and TDEE. I have successfully used the male formula for my boyfriend. I don’t know what I’m doing wrong on my own. I am a 37 year old female. I weigh 135lb (62kg), I’m 5’5″ (65cm). I work out 4-5 times a week for 30-45 min..running (4miles), vinyasa yoga, weight work incl abs, legs, upper body. I am also very busy in general. I usually count myself as moderately active. This doesn’t seem possible for me…or healthy. I don’t know where I’m messing this up. Can anyone else tell? *palm to face. I figured I was something simple. Thank you!!! Hey. I was wondering if you could help me please? I have recently got into fitness. Well I’ve always been on and off but I am determined this time. I am wanting to lose weight and build lean muscle. The results say I should be having 1881 calories. 238g C, 114g P & 52g F! Is that right? I am active I burn between 800-1200 or abit more cals 5/6 times a week. Also I was told to have 5-6 small meals a day should I do that or stay with 3? Hope you can help! Thank you. HI i am harish i want gain muscle and loose my body fat it is around 24% .can i get any advices please? Hi Harish, You would want to do the calculations outlined above factoring a 20% calorie deficit. You can also use our calculator which will do this for you. HI SIR,how to get a lean body…. Hi i am trying to work out my macros but not sure what to put my TDEE as after exercise, whether it be maintain or lose weight? I’m wanting to lose body fat but gain muscle. I paid for someone to do my macros and they came up with 1500 calories, 101g P, 150g C, 50g fat. Yet when i did your calculations and set it at maintain (as i wasnt sure what to put) i came up with 1881 calories, 92g P, 261 C, 52g F. I’m 5ft 3 female and weigh 112lbs. Can you give any advice please? Hi Gabrielle, You have to be in a calorie deficit to burn fat but not too much that you won’t gain muscle. Matainance wouldn’t do this for you. Thank you for your reply! So on your macro calculator would i use the lose weight 10% setting or the lose weight 20% one? According to my fitness tracker i burn on average 2000 calories a day and i work out 6x a week.